“We’re trying to get this into the diplomatic mode so we can get things sorted out,” said Mattis, who will meet with NATO defense ministers later this week. “and make certain (that) minorities -- whoever they are -- are not just subject to more of what we’ve seen” under Syrian President Bashar Assad until now. Tillerson made the comments after meeting with the U.N.‘s envoy for Syria, Staffan de Mistura, who later announced plans to resume U.N.-mediated peace talks Nov. 28. It will be the eighth such round under his mediation in Geneva since early 2016. In addition to the diplomatic efforts, Mattis said the U.S. is still working to resolve conflicts with Russia in the increasingly crowded skies over the Iraq and Syria border, where a lot of the fighting has shifted. Focus has now turned to Boukamal, the last urban center for the militants in both Iraq and Syria where Syrian troops —backed by Russia and Iranian-supported militias — and U.S.-backed Syrian Democratic Forces are vying for control of the strategic border town. Mattis said that as forces close in, the fighting is getting “much more complex,” and there is a lot of effort on settling air space issues with the Russians. He also declined to say whether the U.S. will begin to take back weapons provided to Syrian Kurdish fighters, known as the YPG. The U.S. has argued that the YPG has been the most effective fighting group in the battle to oust IS from Raqqa, but Turkey opposed the arming effort because it believes the YPG is linked to a militant group in Turkey. The U.S. has pledged to carefully monitor the weapons, to insure that they don’t make their way to the hands of insurgents in Turkey, known as the PKK. The U.S. also considers the PKK a terrorist organization, and has vowed it would never provide weapons to that group. Turkish officials have said that Mattis reassured them by letter that arms given to the Syrian Kurds would be taken back and that the U.S. would provide Turkey with a regular list of arms given to the fighters. While in Finland, Mattis will attend a meeting of a dozen northern European nations, which are primarily concerned about threats from Russia. 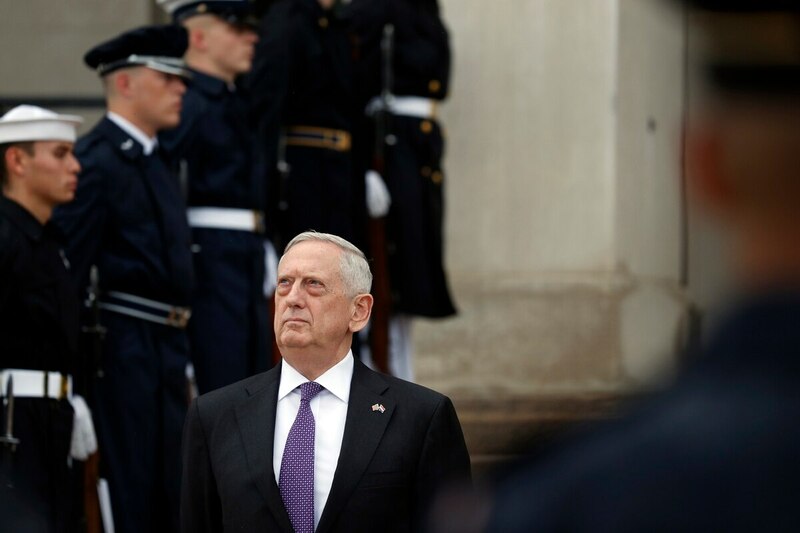 “They are focused on the north,” said Mattis, adding that he plans to listen to their thoughts on the region and determine how the U.S. can help, including what types of training America could provide. During a press briefing later on Monday, Denmark Defense Minister Claus Hjord Frederiksen told reporters that allies must continue to be present in the region because of the risk that IS would rise again.